I love infographics! Maybe because I am a visual person! This infographic has been floating around the Internet and I thought I would share, just in case you missed it! What if you are not a stay at home mom? What if you work out of the house? 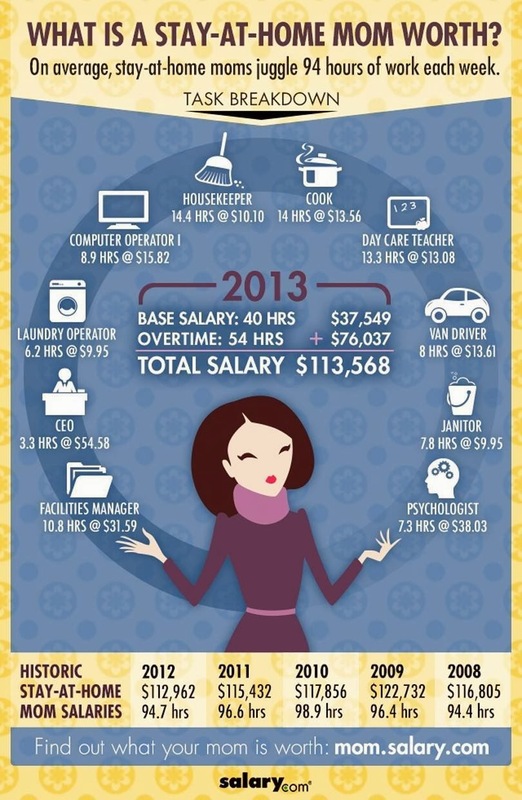 That would be $113,568 plus your salary! I would be making some good money!